Two and a half months have passed since I said bye to my corporate career and it hasn't taken me long to come to the realization that I may never wear my beautiful professional attire ever again. Honestly, getting out of what I call 'house clothes' most days is a challenge. While we are talking about Old Navy let me also tell you about my new best friend - their high-rise crops and leggings. There is nothing worse than the waistband of your leggings digging into your stomach - am I right, Mamas? These workout pants offer the perfect amount of support and are under $30 because let's be honest, I am not willing to pay more than that for workout clothes! End of season sales are the best! I've been eyeing this dress and it finally went on sale. I usually don't buy summer dresses in August but I knew it would take me into the fall with the midi-skirt length and also, I can pair it with a denim jacket. When going strapless, I think a subtle sweetheart neckline is more flattering than the straight bandeau style. I plan to wear this throughout the fall because I am thinking of so many ways to style it. How about topping it with a crisp white shirt tied at the waist and booties? Or a boyfriend cardigan and ballet flats? So you may have noticed that I am trying to grow out my pixie a bit - Julianne Hough-style. We will see how long I last because I am already itching to go really short again. OH and click HERE to shop this look! 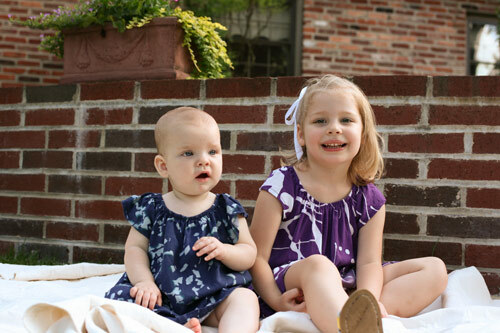 It is hard to believe that it has been nearly ten months since our littlest girl arrived. I am not going to lie, this time around it has been a little more difficult to shed the pregnancy weight. That is why I love the shape of this dress. From the wide waistband to the midi-skirt length, I definitely feel comfortable in this throwback shape. This fun dress is from a new (or new to me!) online retailer called eShakti. 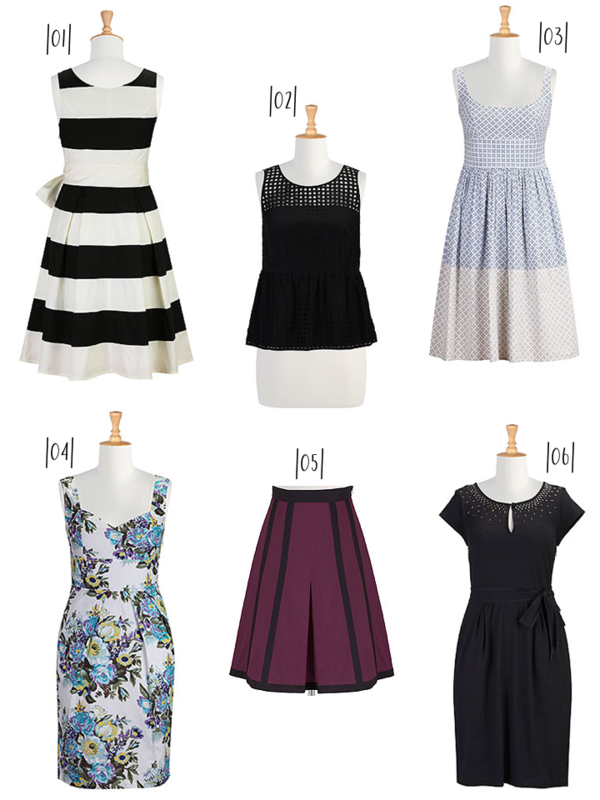 What I love most about eShakti is the completely customized fit of each piece. Ever wish a dress or skirt had pockets OR a skirt was just a little bit longer or shorter? Then this is the place for you. You can even add sleeves or change a neckline. A custom-tailored dress based on the measurements you enter? Please and thank you! I also wanted to share some of the other pieces I love and tell you that for a limited time eShakti is offering buy one get one free site-wide! This past weekend we had the pleasure of attending the outdoor wedding ceremony and reception of a great friend and his new bride. 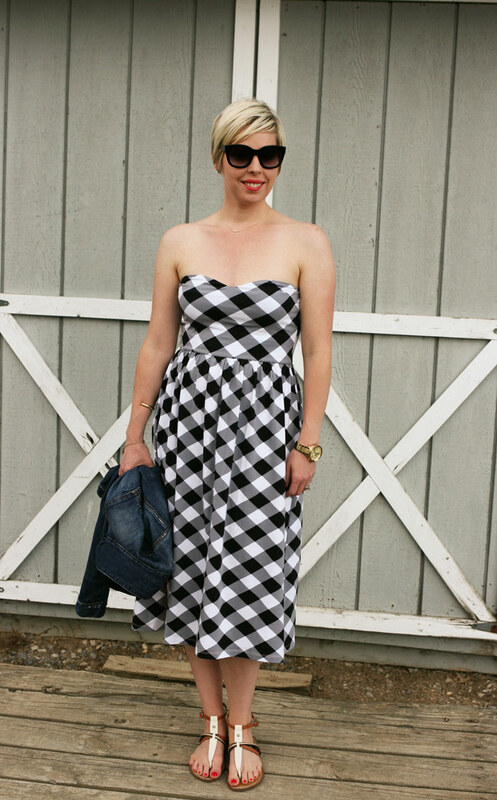 Did you happen to see the Stripes & Florals Lookbook that I put together? Well, here is proof that I practice what I preach. These floral print heels proved to be a great purchase years ago - they are my wedding guest shoe staple - and they pair perfectly with the striped dress. The yellow clutch was another purchase that I debated but I find myself using it a lot more often than expected. The chain strap is very helpful while bustin' a move on the dance floor. And this dress with the striped skirt is super flattering and comfortable. Click HERE to shop this look including the dress and similar accessories. This floral peplum top is what Summer wardrobes are made of. It can be paired with boyfriend jeans for a casual look, a pencil skirt for the office, or skinny cropped pants for brunch. 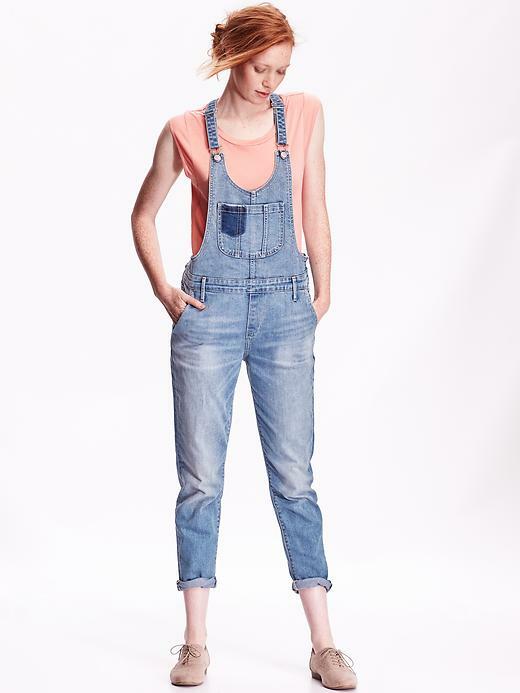 Shop this top, similar boyfriend jeans and sandals by clicking HERE. I am a huge fan of Old Navy's Rockstar Pant. 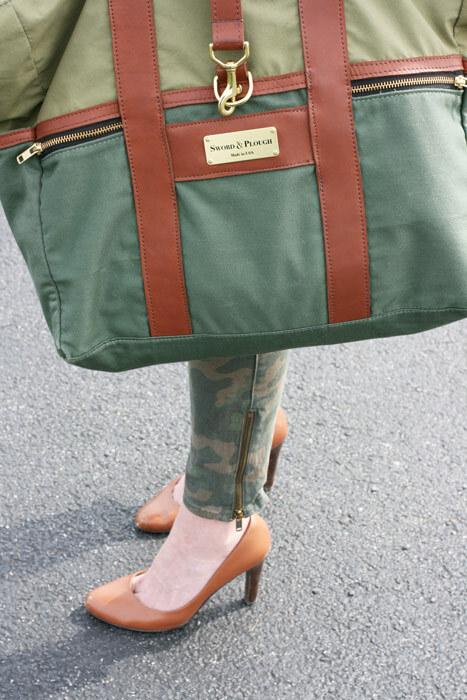 I love this season's zipper additions - they are very similar to the $229 Paige jeans everyone is wearing - and the camo pattern is on-trend and fun without looking ridiculous. My Sword & Plough bag has proven to be a solid purchase. It holds everything I would ever need for two little girls and keeps me organized on the days I am in the office. Don't mind me. I am just walking down a country road in heels. 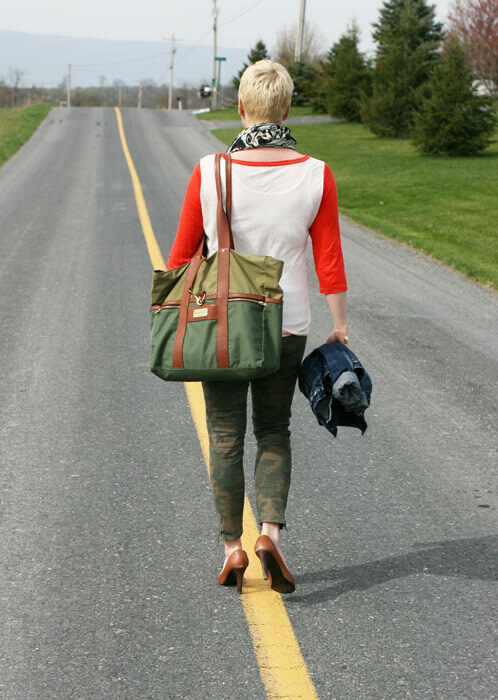 Love these denim pants but here is a little secret, they are maternity jeans. Yep...still rocking them. Honestly shouldn't all skinny jeans come with an elastic waistband? There are so many great pairs of floral printed pants out this season and they will always be the perfect partner to a graphic tee.